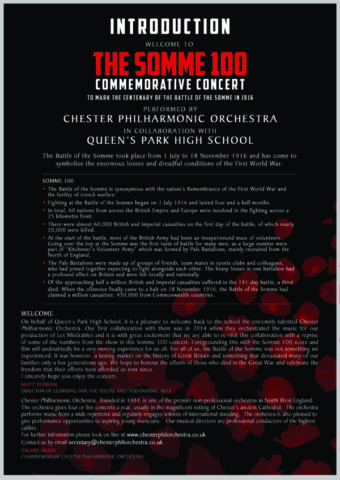 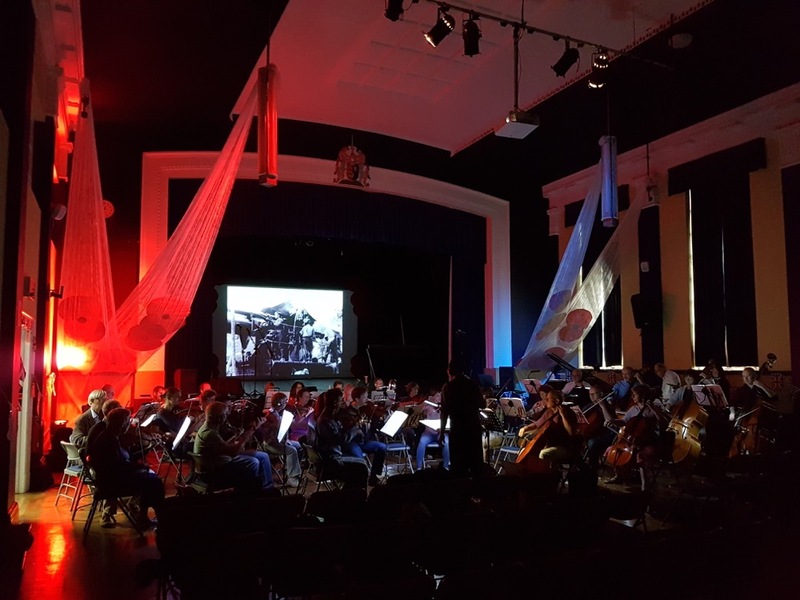 Chester Philharmonic Orchestra in collaboration with Queen’s Park High School put on two performances in a commemorative concert. 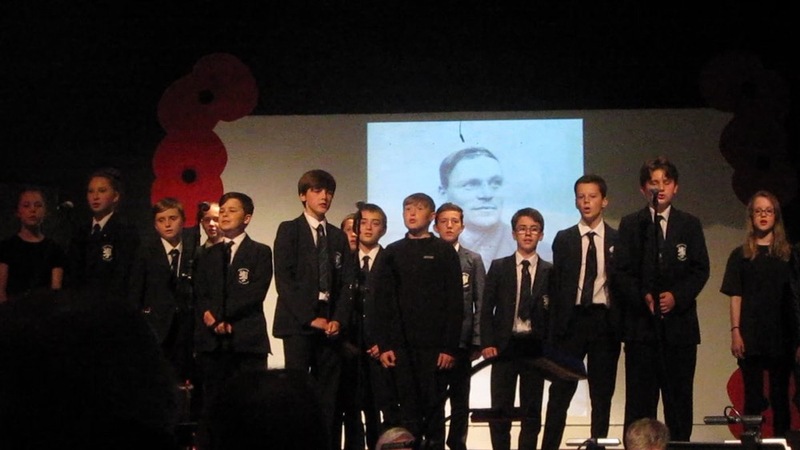 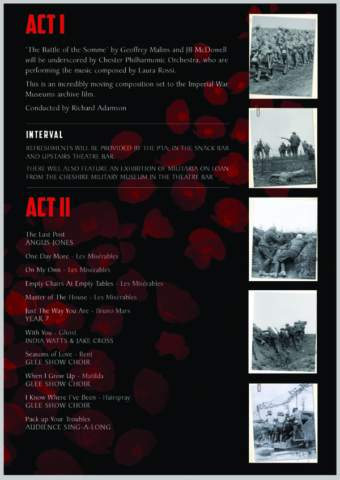 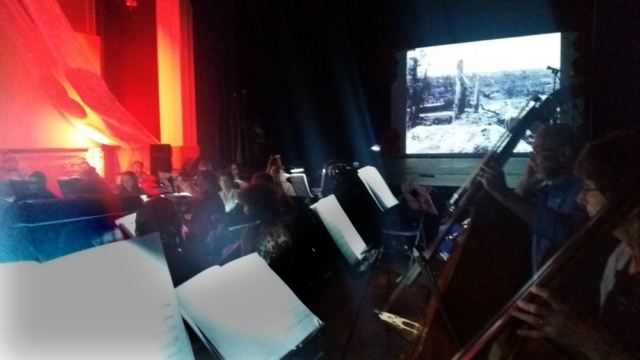 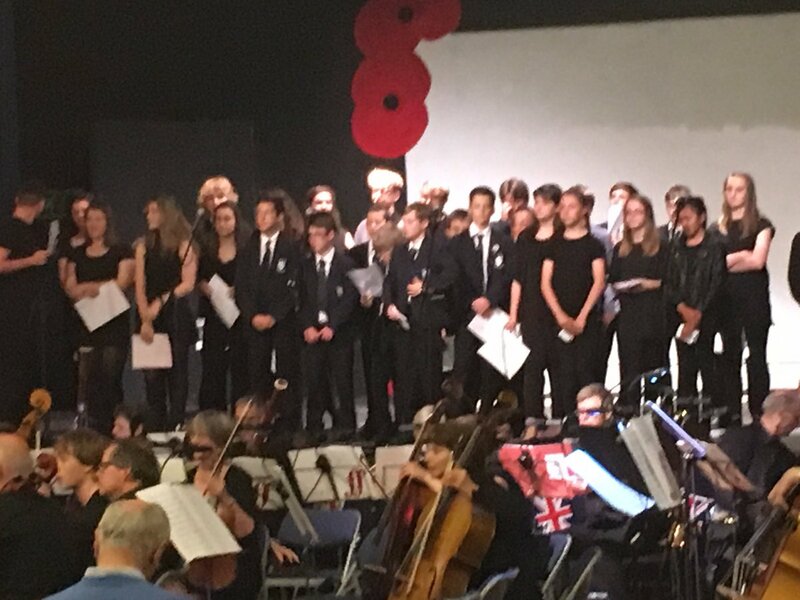 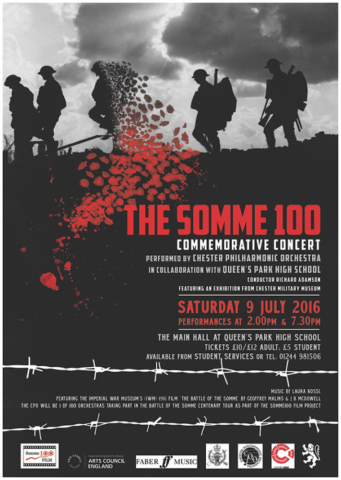 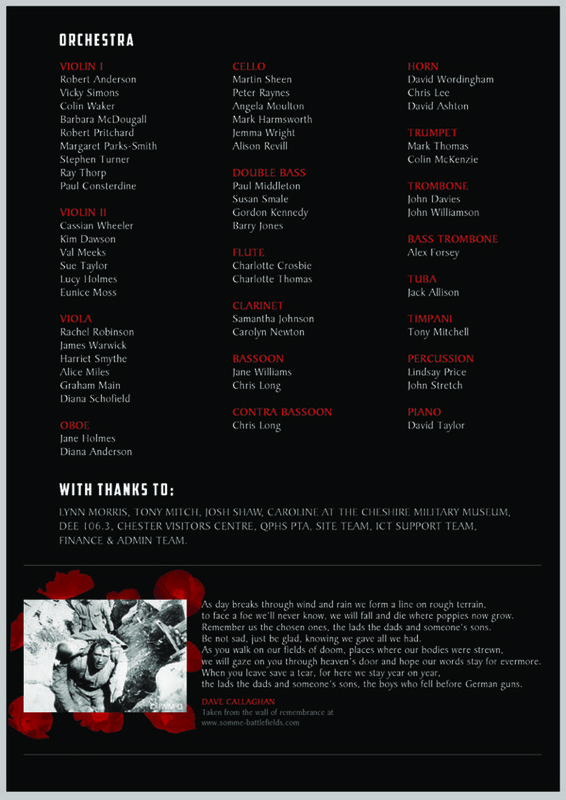 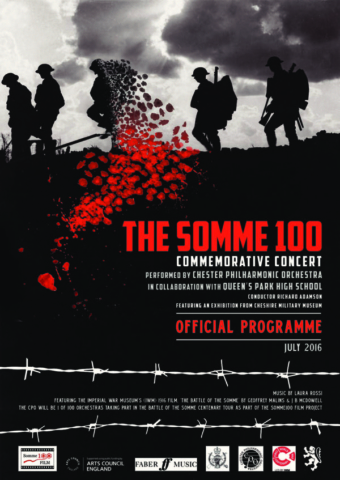 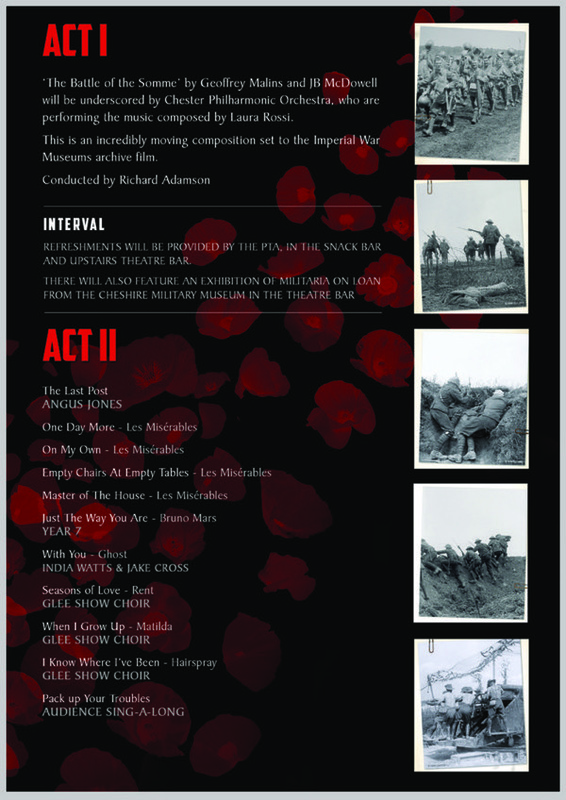 The concert featured the Imperial War Museums Battle of the Somme feature film performed by Chester Philharmonic Orchestra. 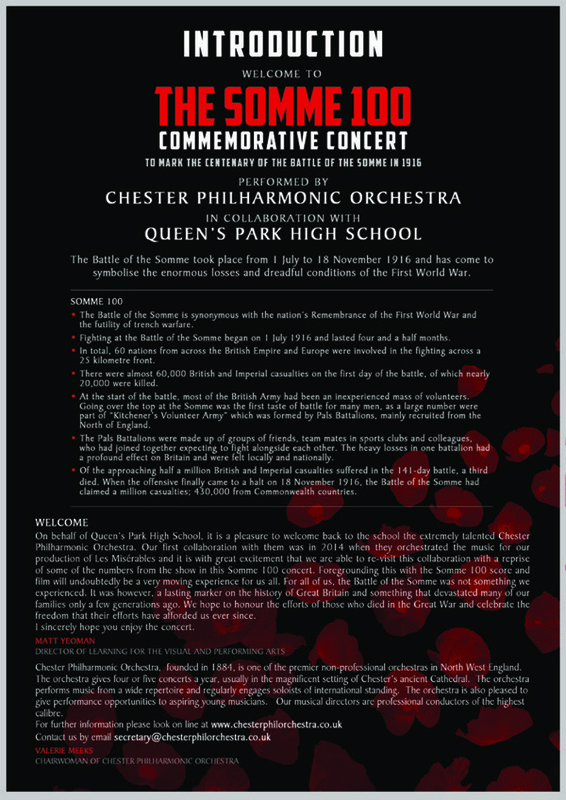 In the second half Queen’s Park High School students performed musical numbers in tribute to the fallen soldiers of the Great War. The event also featured an exhibition of artefacts from Cheshire Military Museum.